With a modern approach to everyday dressing, Max Mara’s pieces are far from boring, and the Italian house’s silk Narvel top is a clear example. 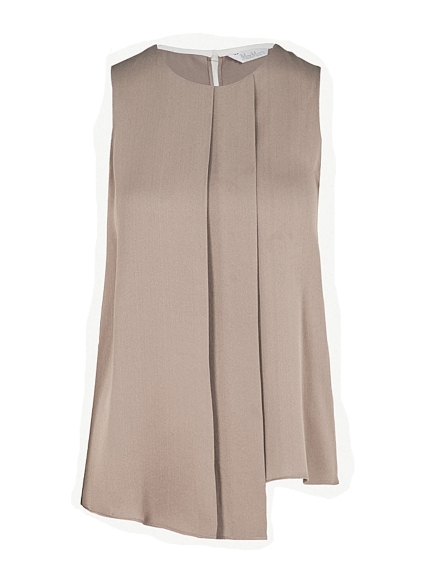 While understated, it’s cut with a stepped hem to satisfy your contemporary needs. Subtle pleating defines the fluid shape, while a back zip fastening keeps things streamlined. Let yours drape over the simple Gelly trousers, adding pointed pumps for a look that stays true to the house’s stylish aesthetic.